Recommend our services on your Blog, Social Media, Website, or to your Family. Shipito offers the highest commission opportunity in the industry. You earn more as your recruited customers ship more. There's is no easier way to earn money. Another affiliate is making over $1,000 through his iPhone app where he advertises Shipito. 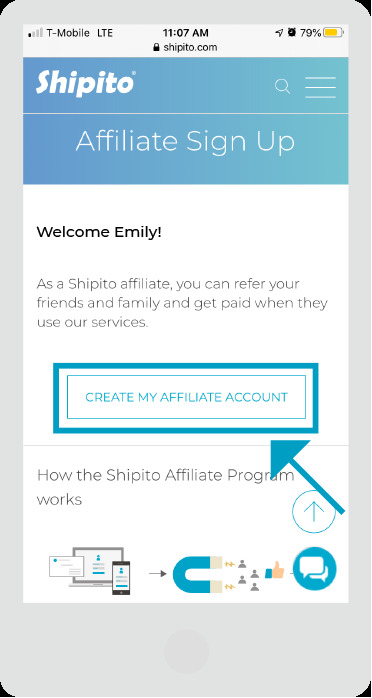 Blogs, Forums, Apps, Social Groups are all great ways to reach new customers and earn money when they ship with Shipito. "I have a YouTube Channel about new tech gadgets"
Many vloggers and influencers use their channel to show their viewers how to get great deals when shopping U.S websites. They then show shippers how to ship with Shipito. Making more money as they ship 5, 10, 20 times. Who can use our affiliate program? Choose text links or banners and place them on your website or blog. Promote our service and get money from new customers coming from your website. Special bonus if your customers ship more than one package: $5 USD commission for the 5th package, $10 USD for the 10th package, and $20 USD for the 20th package per customer.